BJP is not ashamed of playing its communal card which is visible in its targeting Muslims as well as pitching for unified Hindutva by opposing Lingayat community status as a separate religion and bringing campaigners like Yogi Adityanath who is playing the propaganda perfectly. Congress has an edge with trump card of giving Lingayat community a separate religion status plus CM Sidhdharamaih has a positive image of development among the Karnataka people. By making Y.S.Yedurappa as CM candidate and giving tickets to corrupt Reddy brothers of Bellari BJP has lost the right to condemn Congress’s corruption. Prime Minister Narendra Modi appears to be the only savior of BJP as his multiple rallies are planned in the state. Both Congress and BJP are not keen on developmental and people’s issue rather interested n throwing slur at each other. Amit Shah has earlier scored self goal by saying Yedurappa as corrupt. Whatever happens in the future you can ensure yourself an entertaining campaign not only in Karnataka but here at Delhi also through News channels that have all eyes and ears on this instead of any other issue or news. 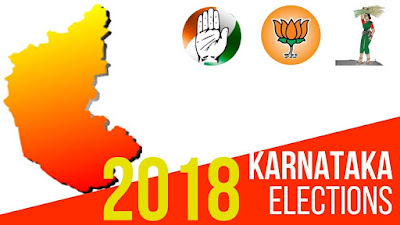 They also perfectly spreading the propaganda which not only affecting the people in Karnataka but various part of the country by mixing animosity among the communities which is further degrading values of togetherness and integrity. 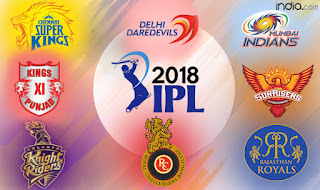 Apart from elections, IPL is also happening in the country and has reached the midway. Chennai Super Kings under M.S.Dhoni is on verge of advancing to the playoffs along with Sunrisers Hyderabad. Other two teams in the top four are Kings Eleven Punjab and Kolkata Knight Riders. Still with lower four teams struggling to climb the ladder there is lost more action left to see this season.